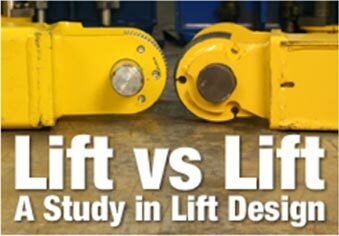 The distinctive Quatra™ series scissors lift by BendPak™ revolutionizes the lifting industry by offering 12,000-pounds of uninhibited service capacity and true vertical lifting for a true vertical lifting path and a more compact footprint, better accommodating smaller service bays and work areas. The unique quad-opposing pantograph scissors design is void of restrictive arm structures usually associated with scissors lifts, providing car lift operators with full, unobstructed vehicle access and effortless workspace entry and exit. More space means more freedom for you to work efficiently, increasing productivity and most of all, your profits. No other scissors lifts on the market offer the freedom that BendPak's Quatra series hoists can provide your shop or garage. 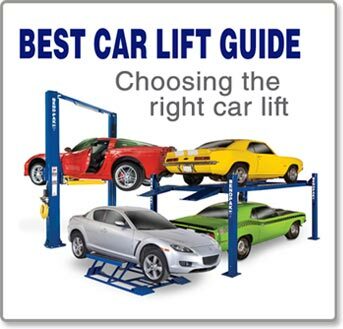 When it comes to positioning vehicles on the lift, there is no other car hoist on the market that makes it easier. Extendable, hinged, collapsible, and stowable approach ramps are an industry first. The extendable approach ramps deliver a range of motion from 59” all the way up to an incredible 76” overall length in mere seconds. Not only do these user favorites make it convenient to drive ground hugging cars on the lift, when space is tight, their collapsible and stowable design means you’re able to close the shop doors at the end of the day. Optional 6,000 pound capacity rolling jacks (model RJ‐6) make a great addition to increase service capacity. Each jack has telescoping arms and frame contact pads that can be extended over the runways and positioned under vehicle lifting points. Each jack features three safety‐lock positions and stackable truck and van adapters for increased lifting height and better access to frame contact points on high ground‐clearance vehicles. The jacks come equipped with a commercial grade air‐hydraulic pump requiring a maximum pressure of 125 PSI and 10‐20 CFM. Overall length / approach ramps extended: 269"
Overall length / approach ramps collapsed: 249"
Overall length / approach ramps stowed: 215"
Min. wheelbase @ rated capacity: 140"
Min. wheelbase @ 75% capacity: 120"
Min. wheelbase @ 50% capacity: 100"
Min. wheelbase @ 25% capacity: 80"